Another Hollywood film featuring African art: Quentin Tarantino’s Pulp Fiction (1994). 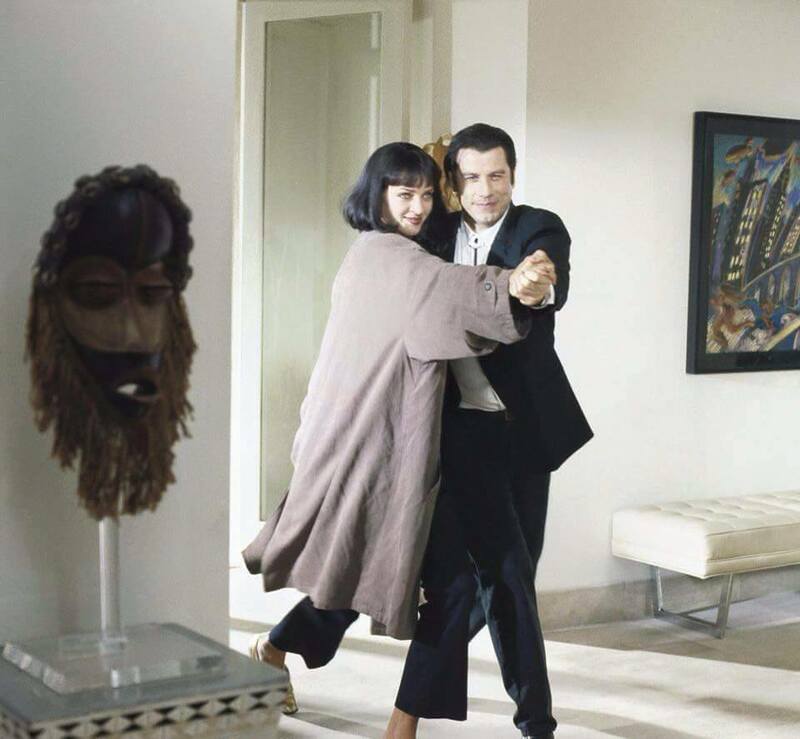 In one scene Vincent Vega (John Travolta) picks up Mia Wallace (Uma Thurman) at Marsellus Wallace’s house. Pretending to be a sophisticated gangster, the latter’s living room is full of African art – all of it fake unfortunately. Above a “Dan” mask, spot more objects (or “African fellas” to quote Mia) in the clip below. A film with a fantastic soundtrack by the way. This entry was posted in Discoveries on March 24, 2016 by admin.